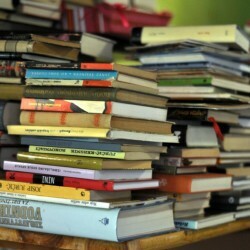 I've mentioned before that I have a program that pulls a random book from a list of all the books in my to-read stack. I can't remember if I've mentioned its propensity to pull out books I've most recently added to it, but I've since realized that most of the books I've added to it I've bought in the last three years or so. It was a nice surprise to have it pull out Neuromancer, a book I've been carting around from house to house for close to twenty years. I've had the book for along time because I had heard it was a classic science fiction novel. It's thirty-one years old now, and it still has a high reputation, so I suppose it is, but I had a hard time following much of it. Half the time, I wasn't even sure if I knew what was going on. The jump from reality to virtual reality to even further virtual realities was a bit of a chore to keep up with, so when I finished the book, I checked out the summary on Wikipedia. Save for a few key points I missed, I understood what had happened. It just wasn't easy to follow at times. I didn't have trouble reading the book, per se. It had a smooth narrative, and a decent pace, and I even found a lot to appreciate with his overall style. The narrative is clipped. Staccato. Like little flechettes fired at you. It reminded me of noir stories, and was a perfect fit for the book. The story is already a future noir, and Gibson found the perfect voice for it. Furthermore, Gibson has his characters make casual references to aspects of the society they live in, like the left hand of John the Baptist being an "infidel relic". They seem minor, almost inconsequential (and to the characters, they are), but that's just him building the world around you without you knowing it. 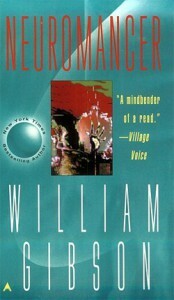 Neuromancer is one of those books I feel like I should read, so I'm glad I can finally say I did, but it's not the kind of book I would ever re-read. I just didn't get enough out of it this one time through to feel like I would ever want to revisit the story.